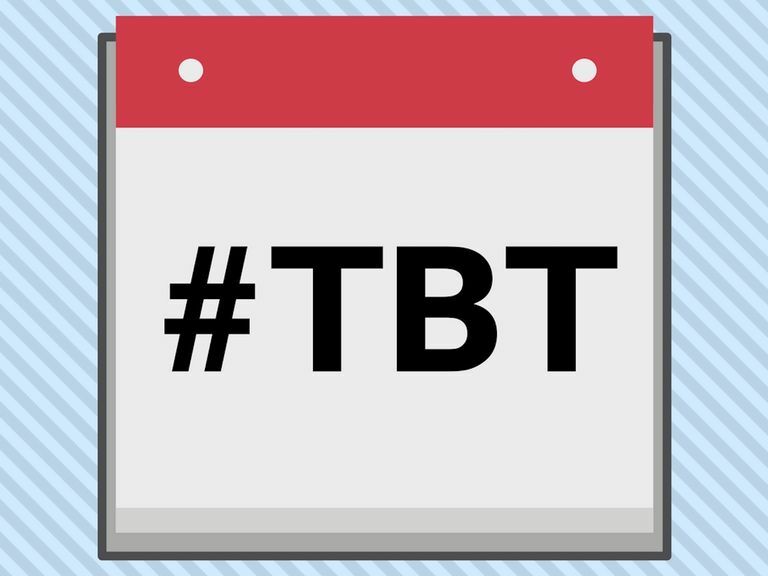 Thursdays have become a really big deal on social media thanks to all the funny Throwback Thursday ideas people have and continue to post every week. Although Instagram was really the first social platform to generate the bulk of the #ThrowbackThursday and #TBT posts, you can pretty much find them everywhere now — including Twitter, Facebook, Tumblr, Pinterest and even on blogs and websites. Heck, even traditional media outlets like TV and radio stations have embraced the trend! Instead of posting a photo you took just last week or a bland photo from your childhood, use some of these funnier throwback ideas to really give your friends and followers a reason to like and comment. The more culturally nostalgic, funny or awkward you can make it, the better. A lot of those old childhood photos probably have a pretty retro look to them. It's always funny to look at them now and wonder how in the world we ever thought they were cool way back when. Whether you once rocked a mullet in your fifth-grade school picture or never went a day without wearing your neon green and pink sneakers, old trends like these are perfect for being resurrected in a #TBT post. Everyone has old photos of themselves back when they were younger, so it's no surprise that it's such a popular theme for Throwback Thursday. And who doesn't love reminiscing over the happiest moments of their own childhood, let alone how much their own appearance has changed in some of the funniest and most surprising ways imaginable? Break out the old family photo albums to see what you can find. It's a shame that pets don't live forever, but at least we all now have smartphones to capture them and immortalize them forever during some of the most perfect moments. A lot of us have fond memories and photos of old cats, dogs, goldfish, gerbils, rabbits, hamsters and other fun-filled furry critters we had as kids that we could probably dig up for a #TBT. Remembering them can be sort of bittersweet, but still enjoyably sentimental. Before we all had smartphones, we used to have Walkmans, video cassette tapes, enormous box-like computer monitors and cell phones the size of a brick. And even though most of these things used to be pretty mainstream just a few years ago, the thought of using any of them now is somewhat laughable. Snap a photo of your old discman or your Disney VHS collection to see what your friends think of it. It's true that music has the ability to provoke some pretty strong emotions, but that multiples about tenfold when you tune into music you used to listen to as a kid. Hearing the first few seconds of a song you haven't listened to in years can bring back a lot of memories and laughs from a time when it was still new and popular. Build a playlist of tracks from another decade or share a YouTube music video of a song that gives you nostalgia-induced goosebumps. Just like the old songs and bands you once loved, there were probably a handful of movies, television shows and even commercial ads that you never grew tired of watching. Today's kids would probably laugh at them all. The characters, the acting and the special effects are almost certainly nothing like what they are today. Share a favorite clip or screencap — maybe with a specific quote — for your Throwback Thursday post to remind your friends of the simpler forms of entertainment we used to enjoy so much. As people grow up, they move on from favorite spaces and spots where they spent a lot of their time and made a lot of great memories. Chances are you have some funny photos that really capture the style and essence of your old house or backyard, a bedroom you shared with a sibling, a past summer job or the school you went to as a kid. Even if you haven't visited the space in years, a photo can be enough to take you all the way back and give your friends the giggles. Vacations are meant to be memorable. They can also turn out to be a lot more fun than expected, with laughs had on all the excursions you went on and interesting adventures had. Whether you spent your weekends at the family cottage as a kid or got the opportunity to study abroad, exciting trips from your past usually leave you with some of the most unforgettable moments of your life. Crack open your vacation or travel albums and post a great photo from a special trip. It's not uncommon for people to keep their most cherished toys and items from their childhood safely tucked away somewhere, even throughout adulthood. If you still have that old stuffed animal, train set, doll or dinosaur that you loved so much as a kid, why not take it out and snap a quick photo for Throwback Thursday? Tell a funny story about how you used to play with it or what you used to do to imagine it come to life on your head as a kid. Just like family vacations or trips with friends, holidays and special occasions make some of the best memories — offering some of the best photographic evidence of the quirky ways your family spreads the love and joy. Christmas, Thanksgiving, Halloween, Easter, New Year's, college graduation and even your birthday probably marked some big moments in your life — all of which make for great content in your Throwback Thursday posts.